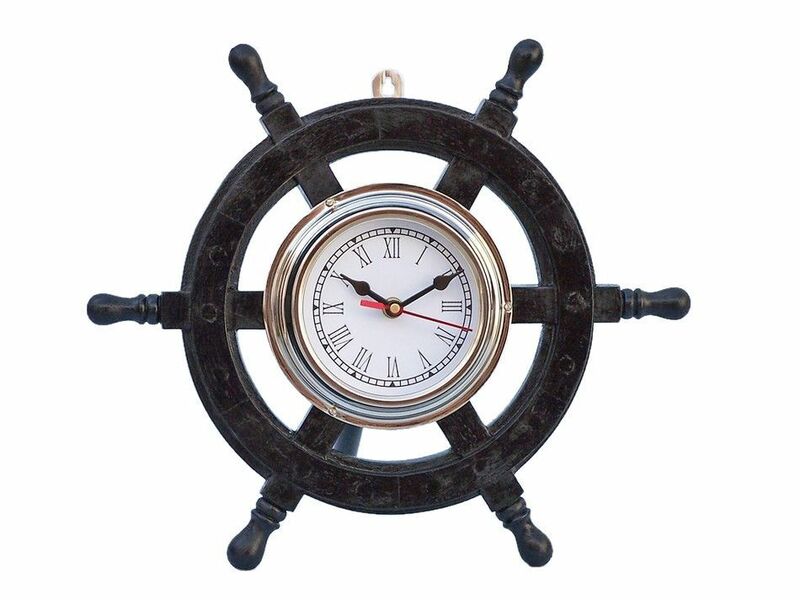 Deluxe Class Dark Blue Wood and Chrome Pirate Ship Wheel Clock 12"
Deluxe Class Wood and Antique Copper Ship Steering Wheel Clock 12"
The Deluxe Class Wood and Chrome Pirate Ship Wheel Clock 12" is one of our most popular decorative clocks. Made from rare, high quality Shisham wood, this piece is sure to turn your space into a daring adventure. In addition, the chrome center of the wheel includes a real, working clock. 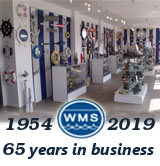 The clock is approximately 5-inches in diameter and rests perfectly inside the ship wheel. This strong solid wood wheel also features a hinge on the back for easy placement and mounting. This small wooden ship wheel clock requires AA batteries to operate (not included) which can be easily installed in the back.